How to download and install Microsoft Excel? 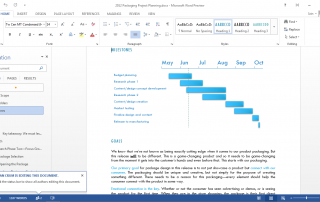 An advanced spreadsheet software developed by Microsoft. Microsoft launched Excel in 1987, as part of the Microsoft Office suite. Since the release of its 5th version in 1993, this software has established itself as a default application used in the industry, succeeding Lotus 1-2-3. Excel is available for Windows, IOS, Android, and MacOS. It maintains spreadsheets, calculates results, and create graphs. It also supports Visual Basic language for creating applications with its worldwide presence. The main feature of Excel is a spreadsheet which helps you in maintaining your data in a table format (split into rows and columns). It is useful for calculating and displaying data in a graph, chart or histogram format with a 3d view. This software is helpful for companies to maintain their financial records in a better form. Its support of Visual Basic for Applications is useful for solving tough mathematical problems. For example–If a user wants to calculate the result for a differential equation, VBA will help the user in sending the equation and fetching the result in the sheet. This application can take a question and answer for analysis and can simultaneously accept data from polls, to analyze it and create personalized reports. Excel supports Visual Basic for applications, a powerful tool, only available for Windows PC, which helps user write, debug codes and calculate robust mathematical data to automate various tasks. Another important feature of Excel is its support for graph and chart, with its use in the same sheet or as a different object. A quick update of these charts is possible with a change in value or addition of new data into tables which the charts and graphs are based on. Addition of some elements is possible through Add-in toolpacks provided by Microsoft. Analysis of engineering and statistical data is possible through Analysis ToolPack. Managing euro currency is possible through Euro Currency tool pack. Solver Add-in makes it easier to solve equations in a matter of seconds. How much data can excel handle? Excel has increased the number of rows and columns, supported by the software, over the years. Up to 7.0 Version, Excel could only support 16,384 rows. Version 8.0 to Version 11.0 has witnessed an increase to 65,536 rows and 256 columns to store more data. After the 12.0 version update, Excel can handle 1,048,576 rows combined with 16,384 columns, which is a massive boost to the storage capacity. .XLS was the default file extension of Excel before 2007. Now Excel supports “.XMLSS,” as a default file extension, since its update to 2007 version. It is an XML-based format, referred to as an “XML Spreadsheet.” Excel also supports many other formats ranging from CSV, DIF, DBF, SYLK and various legacy formats. Compatability with forms working for DOS PC’s was removed in 2007, to keep the application modern, robust and compact. 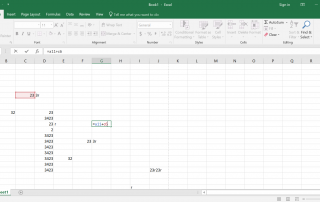 To conclude the post, Excel is a legacy software of Microsoft which is part of the Office suite and will satisfy many of your your business and personal spreadsheeting work. It is a powerful software with new and advanced features. Like Microsoft Word, Excel has become an integral part of the Microsoft Office suite which is essential for companies and businesses.